Did you know that in April 2011, 40% of students at CUNY schools reported having been hungry in the past 12 months? This comes from "Food Insecurity on College Campuses" By Susan Blumenthal, M.D. and Christina Chu. 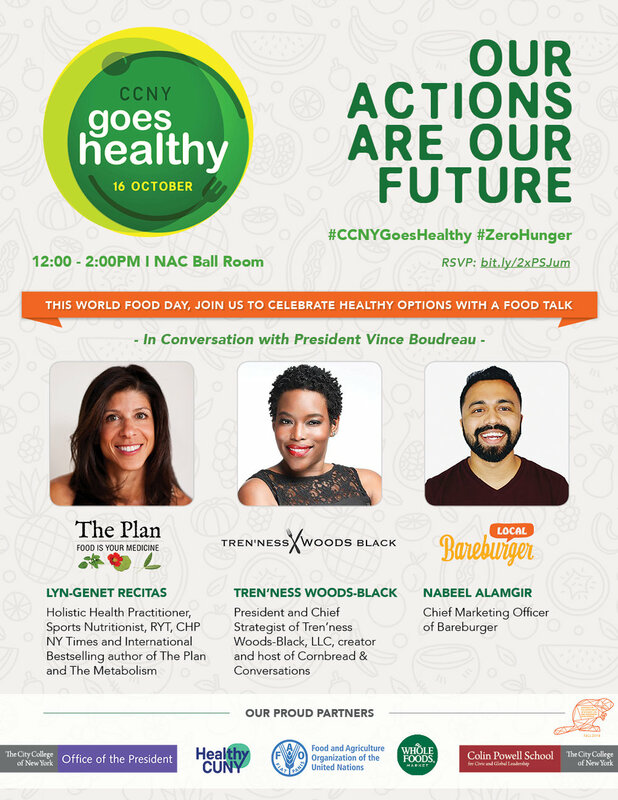 In partnership with; CCNY The Office of The President, Healthy CUNY, the FAO, and Whole Moods Market.